1 – Kids rebel against their parents. I’ll use a classic example, the white t-shirt. Originally used only as an undershirt, youth took to wearing the undergarment by itself as a way to rebel against the traditional social stigma of their parents during the 1950s. The poster child? James Dean, Rebel Without a Cause, 1955. It may not seem like much, but this opened the door for The Beatles whose long hair continued the rebellious youth until we reached Led Zepplin in the 1960s and then the 1970s were mayhem. 2 – Adults just wanting to feel like a kid again. 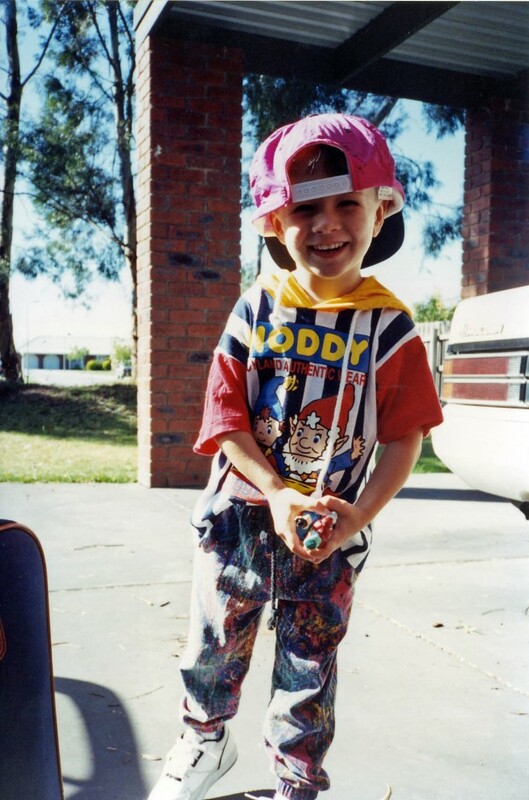 I was born in the late 80s so my first fashion conscious decisions were made in the 1990s. Think, fanny packs, funky patterns, neon colors, washed/faded/ripped denim, windbreakers, or this kid. What styles are back in my mid-life era? 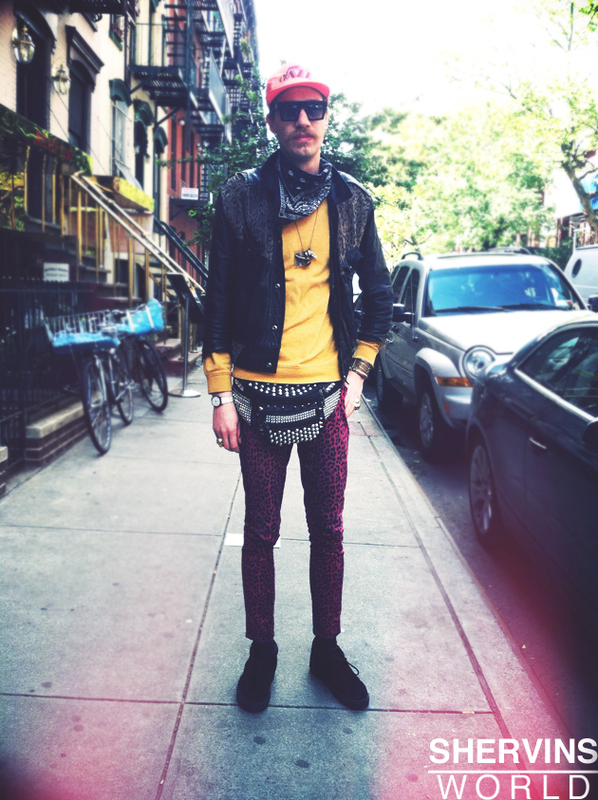 Fanny packs, clashing patterns, neon jewelry, the Canadian tuxedo. In fact, I sometimes pick my outfit based on non-matching-ness. Welcome back, five year-old ilaria. Like this guy. This is partially tongue-in-cheek, but let’s be honest. Why else do we make decisions as young people? And really, I think if we all challenged our parents’ accepted norms, and lived as happy as kindergartners, the world would be as awesome as a new slammer.